King John is betrayed by Arthur, his nephew, who conducts a rebellion and is supported by the French King. The King of France demands that John surrender his throne to Arthur. John instead sends a force against him. A battle takes place between the two armies at Angiers, but neither side is decisively victorious. King John forges a settlement for peace with the French, which Arthur's mother, Constance, angrily rejects. In the meantime, King John is having troubles with the Pope. John is excommunicated and, on orders from the Pope's envoy, Pandulph, the French King resumes hostilities with John. The French are defeated and King John captures Arthur, to Constance's great distress. John orders that Arthur be executed, but his chamberlain, Hubert, disobeys after hearing Arthur's heart-felt pleas. Pandulph convinces France's Dauphin to continue the fight in England. John attempts to keep the favor of the nobles, and their fear that he is plotting Arthur's death causes John to regret his orders to Hubert. John is relieved to hear that Arthur is alive, but Arthur attempts to escape and falls from his high prison wall to his death. The nobles accuse John of murdering Arthur and defect to the French. In return for an assurance that he will dissuade the Dauphin from his attack, John concedes to Pandulph's demands, putting his kingdom under the Pope's control. The Dauphin's confidence, however, is boosted by the addition of the English nobles and continues the assault. 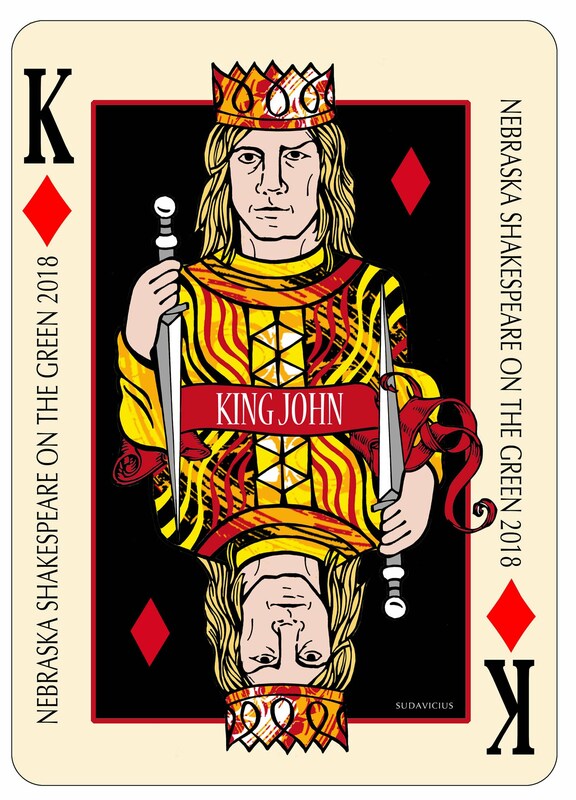 Join us at Shakespeare On The Green this summer to see how the play ends!